The best hand saw for you? Take a look at the ranking from 2019! How to find the best hand saw for wood? Hand saws are destined for variety of wood jobs. It is widely used for cutting wood and smaller woodworking. However, do you know how to find the best hand saw for cutting wood? What kind of elements do you need to consider when choosing best hand saw? The following article will present some of the factors that may have the impact on choosing the right hand saw. We will draw your attention to such aspects as price, functionality, and other benefits and disadvantages of using selected hand saw. Stanley has been preparing quality tools for many years now. The handsaw we are describing today is yet another example of how incredibly durable and effective their tools can be. They are made of durable materials with bi material handle, which increases the comfort and accuracy of the tool. Except for that, we receive here induction hardened blade made of steel, what additionally increases life of this saw. We cannot forget about two-sided, hardened and tempered teeth. Thanks to that we don’t need to worry about light work at all. The tool has been designed for all types of small jobs. Therefore, it is one of the best hand saw for wood, softwood in particular! As for the price, the price-quality ratio will surely appeal to each and every one of you. The second suggestion we have got for you regards hand saw that is capable of cutting more demanding materials. 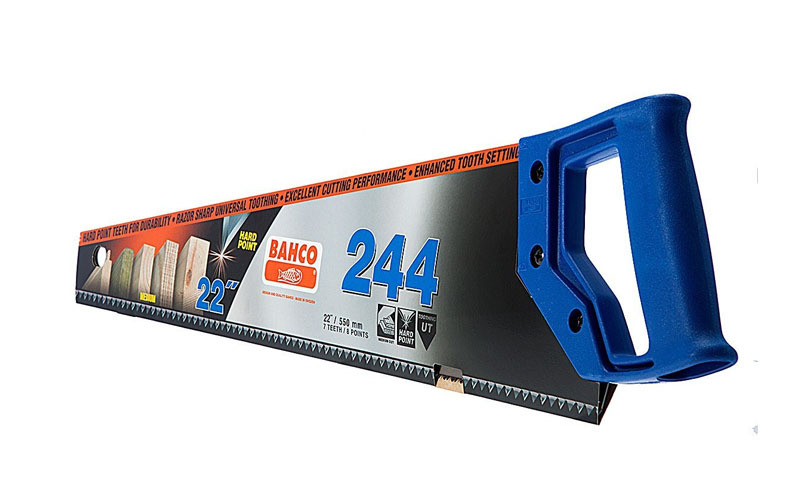 Bahco is useful with such components as plywood, fibre, chipboard, plastics, or ordinary wood. 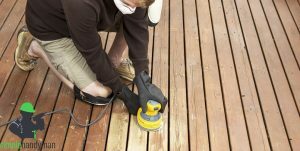 Of course you can also use Bahco with softwood and the results will be astonishing. The thing that distinguishes this hand saw from others is authorship XT-tooting. Thanks to that this saw will remain sharp for a very long time. An interesting addition is screwed handle made of two components. It lets us use this saw for approximate 45° and of course 90° marking guide. It is a bit heavier and bigger than the winner, but better and long-lasting sharpness surely compensates these flaws. In terms of the price, we can purchase that saw in the similar price only if we manage to find it on sale. 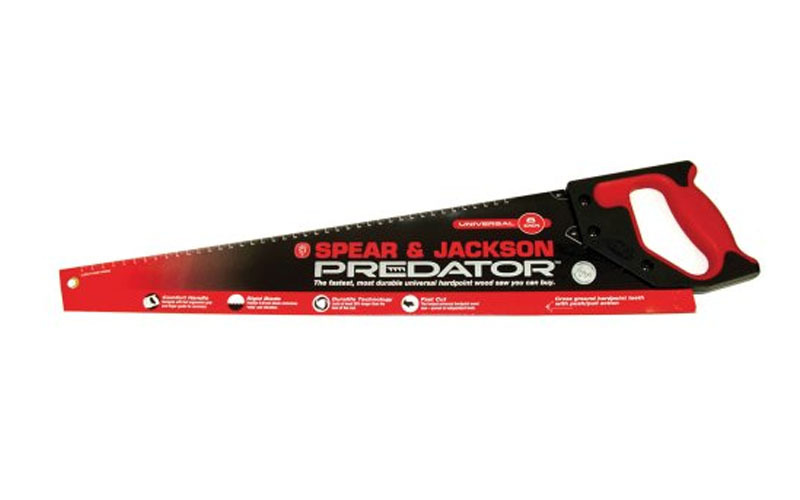 If you are looking for the reviews of the best hand saw tools, then Spear & Jackson will certainly appeal to you. 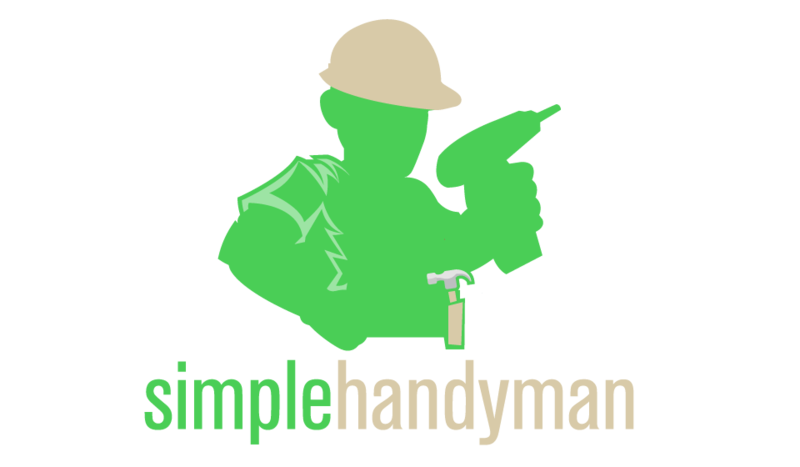 It is praised by many customers, who are amateur DIY workers and professionals. 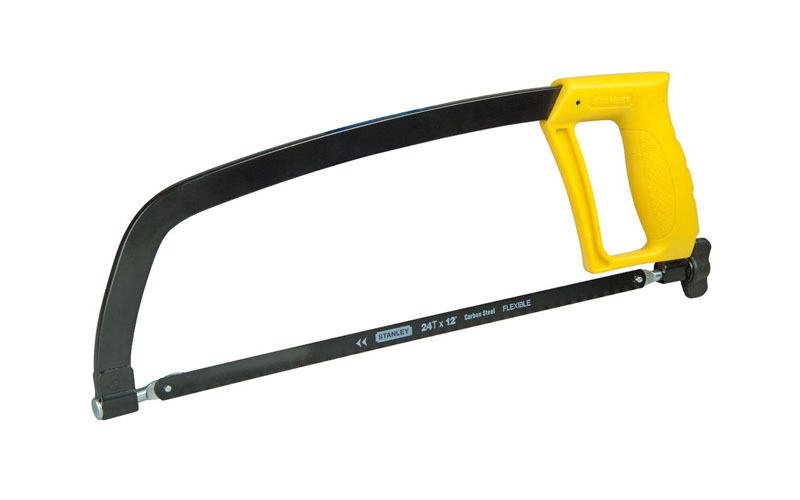 This universal hand saw is one of the best hand saw for cutting wood in the given price. In addition to such benefits as two angle guides and effectiveness with harder wood, it is also very comfortable in holding thanks to anti-vibration grip. Soft-feel ergonomic handle we can see in this model is also the reason why Spear & Jackson B9822 is so accurate. We cannot forget about rigid blade, which reduces whip and vibration. There are of course people, who decided to pick this hand saw because of its appearance. It is surely unique. Sadly, the saw is not hardened, so it cannot be re-sharpened. The price is comparable to the winner, so that should not be a problem. This particular model lets us fold the blade, making it very easy to transport. Except for that, the blade is made of carbon steel, which is incredibly sharp material. In addition, the teeth are additionally coated, what reduces friction. We don’t have to worry about any resistance while pulling the blade. 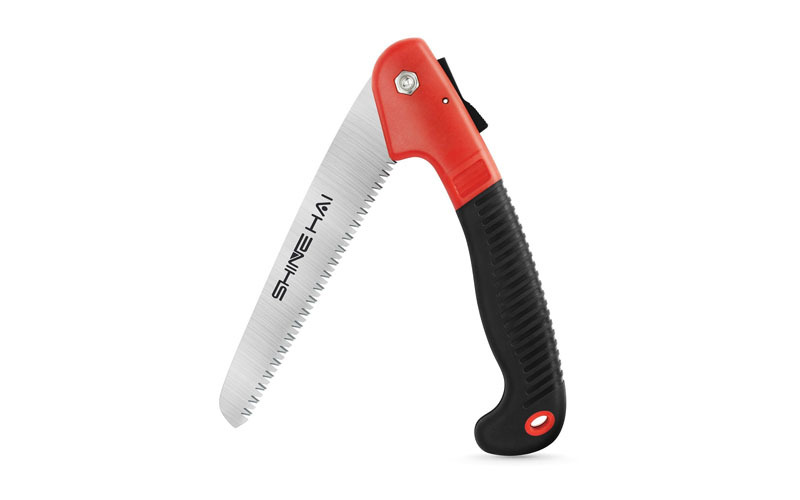 If you really care about finding the best hand saw for cutting trees and other work with wood materials, then you should reconsider purchasing SHINE HAI. 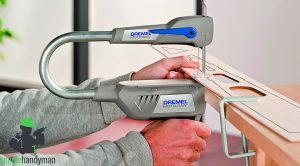 Its compact size, lightweight, and of course efficiency against thicker materials make this particular hand saw very interesting choice. The tool proved to be useful not only in gardening activities or with wood DIY work, but also during hiking, and as the part of survival tool kit. When on sale, the tool is approximately in the same price range as the rest, so you don’t have to worry about expensive purchases. 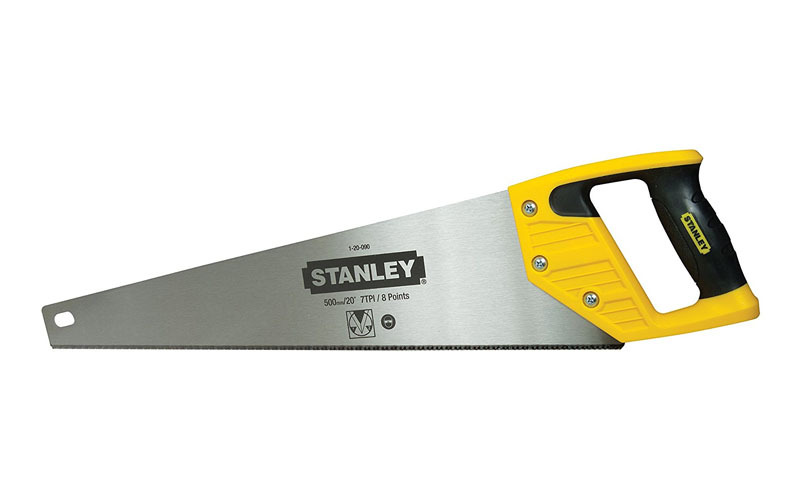 No wonder Stanley is considered to be one of the best producers that can release best hand saw for woodworking job. Introduced more than a decade ago on the market, this particular hand saw is one of the heaviest saws on our list. Nevertheless, it offers great effectiveness and features you cannot find in any other recommended model. We mean here the possibility to cut vertically and horizontally. Except for that, the right combination of ribbed plastic handle and steel frame gave us amazing balance. 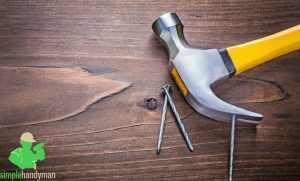 Bear in mind that this pistol grip hacksaw can be also used to cut through metallic materials, which is incredibly important advantage that shows how versatile the tool can be. Except for numerous pros Stanley Pistol Grip Hacksaw can boast with, the price for the tool is one of the lowest in our ranking. A lot of you wonder which is the best hand saw in uk? How to find the one tool that will meet our demands? There are some aspects we always need to draw our attention to if we care about hand saw for more than several uses. Of course you don’t need to follow all the tips you are going to read below. 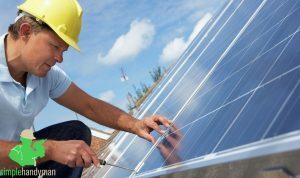 But we believe that the right choice should be not only well-considered, but also supported with knowledge of experienced DIY workers. Therefore, make sure to pay attention to the material of which the blade is made of, to the size of the hand saw, to the warranty length, and how comfortable the saw is. 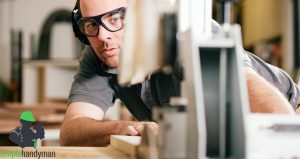 The first and probably the most important aspect when it comes to durability of the saw is what materials were used to create the given hand saw. There are several recommendations and several materials we are strongly against, since they cannot withstand the test of time. 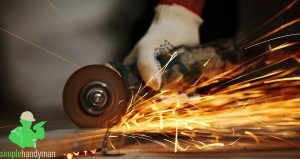 The most popular one is steel and in most cases hand saws are made of steel. It is good, however, to look for tempered steel blades. 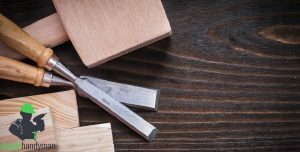 Despite the fact they cannot be sharpened the way regular steel hand saws can, they are much more durable and can last longer. 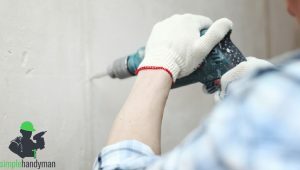 As for the handle, look for soft grip that is covered with rubber or any other material that will not only make your tool comfortable, but it will also reduce the vibrations. Yet another element that is important for most of the tools. Before you start searching for the ideal hand saw, determine whether you look for compact hand saw for quick and soft work or you look for bigger, heavier, and more effective hand saw. There are different sizes of hand saws. We can even find folding hand saw, which can be not only used anywhere we want, but it is also portable and very easy to carry. If we look for this kind of tool, we need to remember that it won’t be as effective as large and heavy hand saw. Of course we can look for compromises such as average size with lightweight and decent cutting power. The weight varies from 300 grams up to 700. While working with handsaw, we also need to remember about comfort. The lighter the tool, the more comfortable it is to hold. However, we still need to remember about proper balance and vibrations reduction, which can be more often found in heavier saws. As you can see, weight is not only the addition, but very important indicator what to expect from given hand saw. Except for weight, we should look for special covers and materials that were used solely for our handle. That way we know the producer took our comfort under consideration and we can hope for one of the best hand saw for cutting trees that will at the same time be very comfortable to hold. One of the most important aspects we should always have in mind is of course the feedback of others. 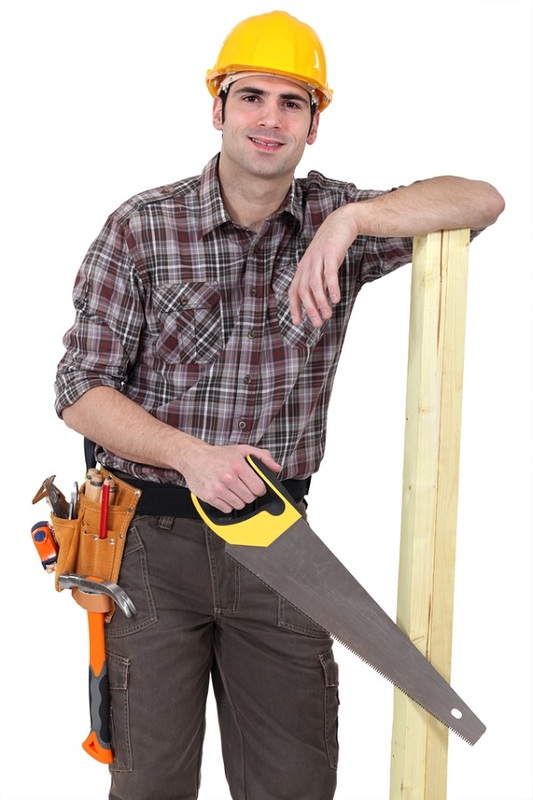 Look for the best hand saw reviews and you will see how many tools are recommended. Of course the most important opinion is your own, but if you find verified customer, who used hand saw in the way you are going to use, then it is also a good indicator whether your purchase will be successful. 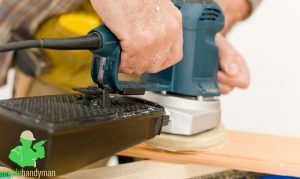 Summary – how to find the best hand saw in 2019? 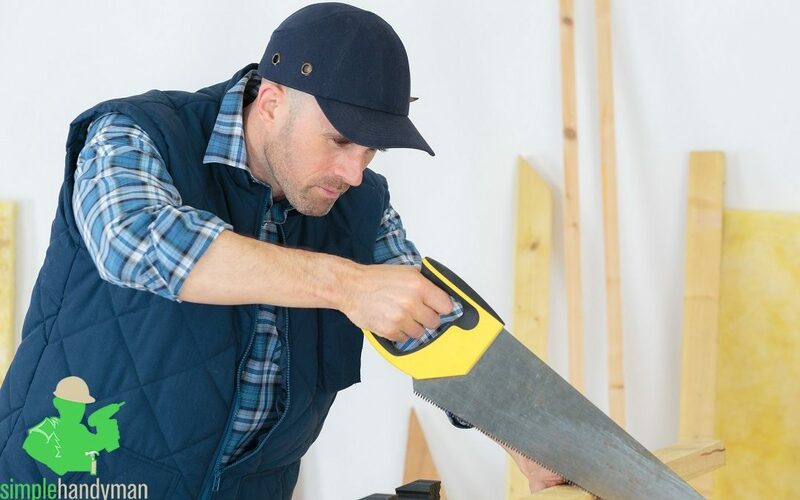 There is no such thing as the best hand saw because each and every DIY worker will use hand saws with different materials and for different purposes. Therefore, make sure your choice is destined for the right materials! That is all we have prepared for you. If you don’t want to look for your own hand saws, choose one of the recommended ones. It will save your time and still provide you with interesting offer.